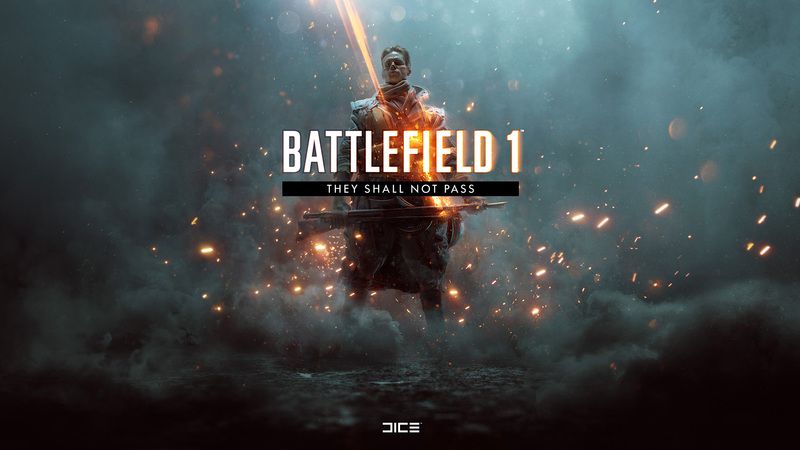 Today, we revealed the first details of all four expansion packs included in Battlefield 1 Premium Pass* with Battlefield 1 They Shall Not Pass, Battlefield 1 In the Name of the Tsar, Battlefield 1 Turning Tides and Battlefield 1 Apocalypse. 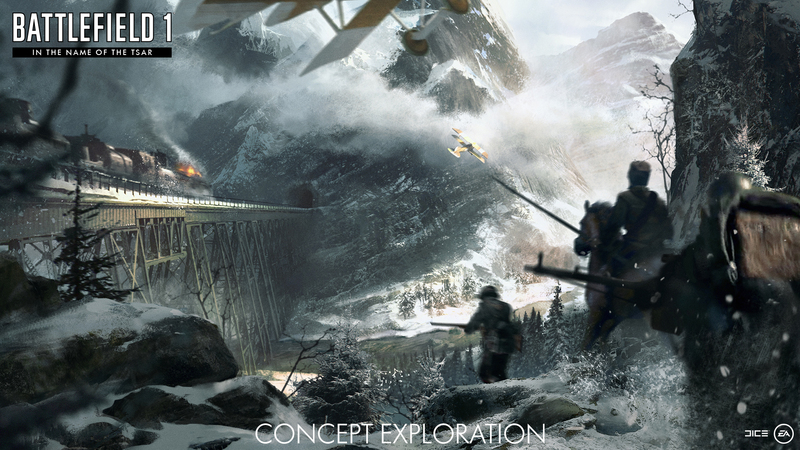 To expand the global conflict and build on the game’s award-winning multiplayer experience, players will be able to defend their homeland as the hardened French Army and battle in treacherous snow covered ravines with the Russian Army. 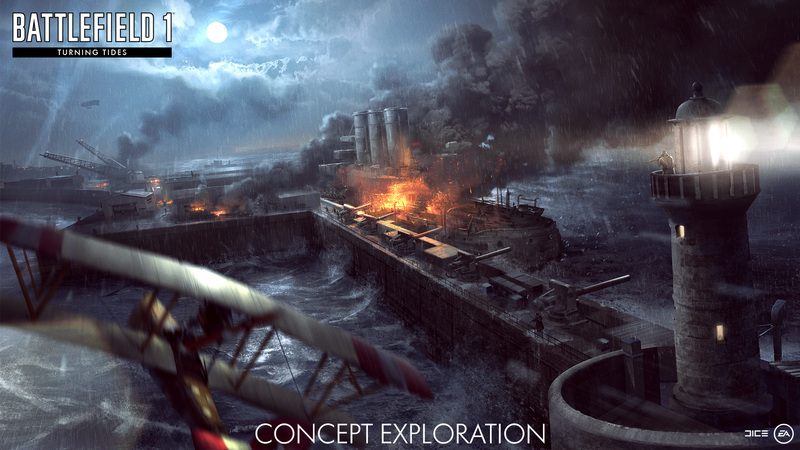 Players can also engage in intense naval clashes and conquer fiercely disputed ground in the most infamous battles of the Great War. The expansion packs will also include 16 new multiplayer maps, 20 new weapons, and new elite classes. Additionally, Battlefield 1 Premium Pass members will get two-week early access to each unreleased expansion pack, plus 14 Superior Battlepacks, priority sever access and more. In Battlefield 1, DICE set out to build the most immersive and dynamic Battlefield game ever, and the critics have agreed by placing Battlefield 1 on 160 Game of the Year lists for 2016. Now, players who have yet to get in on the action will be able to experience Battlefield 1’s epic multiplayer and gripping single player in the upcoming PC† and Xbox One‡ free trials from March 3 through March 5. Xbox Live Gold members on Xbox One will get unlimited play time with the full Battlefield 1 multiplayer and single player offering. 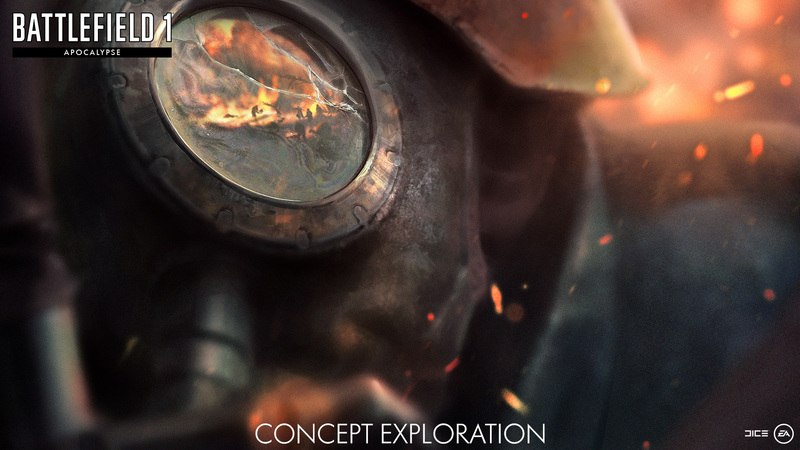 Origin for PC players will get 10 hours of play time with the full multiplayer experience on two maps, and the first two War Stories of the games acclaimed single player. Those looking to forge ahead into the full game will have their progress and achievements carry over when purchasing the full game. Going on now, players can save up to 60% off Battlefield 1 during the EA Publisher sale**. The sale includes the Battlefield 1 Ultimate Edition which features the base game plus all the extras of Deluxe Edition and Premium Pass. Battlefield 1 is available now on Xbox One, Origin for PC and PlayStation 4. Battlefield 1 Premium Pass is also available now on Xbox One, Origin for PC and PlayStation 4. Check www.battlefield.com/games/battlefield-1/premium often for details and release dates for each expansion pack. For more information on Battlefield 1, please visit www.battlefield.com or join the conversation on Facebook, YouTube, and Twitter®. Press assets for Battlefield are available at http://info.ea.com. * Battlefield 1 on applicable platform (sold separately), all game updates, internet connection, and EA account required. Check www.battlefield.com/games/battlefield-1/premium often for details and release dates for each expansion pack. Early access only available for any expansion pack not yet released. **60% DISCOUNT VALID FOR PC PLATFORM ONLY IN SELECT TERRITORIES. OFFER VALID FOR PC PLATFORM UNTIL MARCH 14, 2017, FOR PlayStation 4 PLATFORM UNTIL MARCH 7, 2017 IN AMERICAS AND UNTIL MARCH 8, 2017 FOR THE REST OF THE WORLD, AND FOR XBOX ONE PLATFORM UNTIL MARCH 13, 2017. CONDITIONS AND RESTRICTIONS APPLY. See WWW.EA.COM/PUBLISHER-SALE for details.